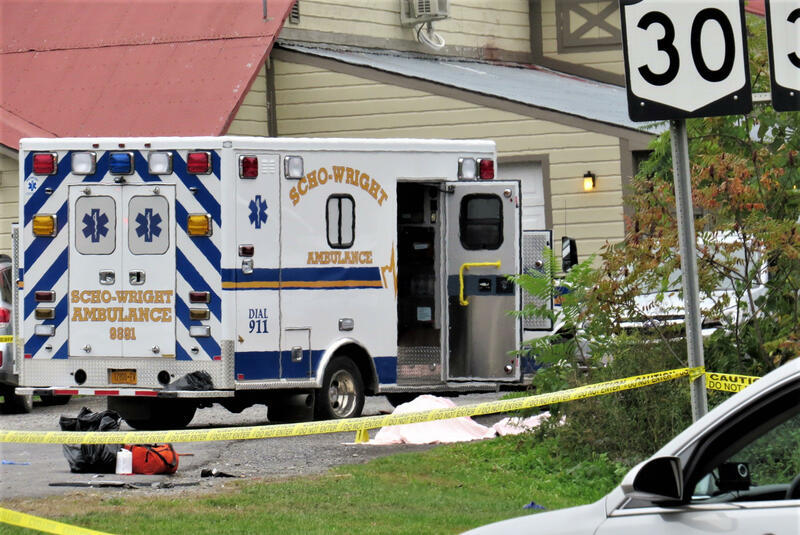 WASHINGTON — Federal safety investigators have been unable to conduct a full examination of the limousine involved in a crash that killed 20 people nearly two weeks ago in upstate New York because local prosecutors are probing it as part of their case against the limo company's operator. The federal agency is charged by Congress to conduct independent probes and can make urgent safety recommendations to address specific issues discovered during an investigation. The NTSB expects to release a preliminary report on the wreck in the next several weeks, Weiss said. The district attorney in Schoharie County did not immediately return a call from the AP seeking comment on Thursday. The limousine loaded with 18 people ran a stop sign and crashed at the bottom of a hill in the town of Schoharie. Everyone in the limo died, including four sisters, along with two pedestrians. Family members of some of the victims say the limo was headed to a 30th birthday celebration. "Can't wrap your head around it, you just can't," said Barbara Douglas, who said four of her nieces were killed in the crash. She said they were celebrating the youngest sister, Amy Steenburg's, birthday. "They were wonderful girls. They would do anything for you and they were very close to each other and they loved their family," Douglas said.